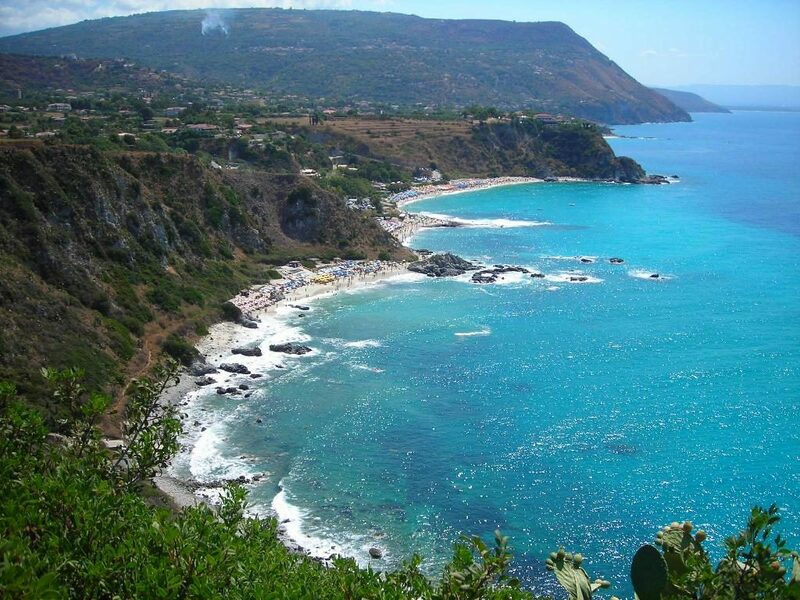 The Capo Vaticano coastline starts 6km south of Parghelia at “Baia di Riaci” and ends in the locality of Santa Maria. 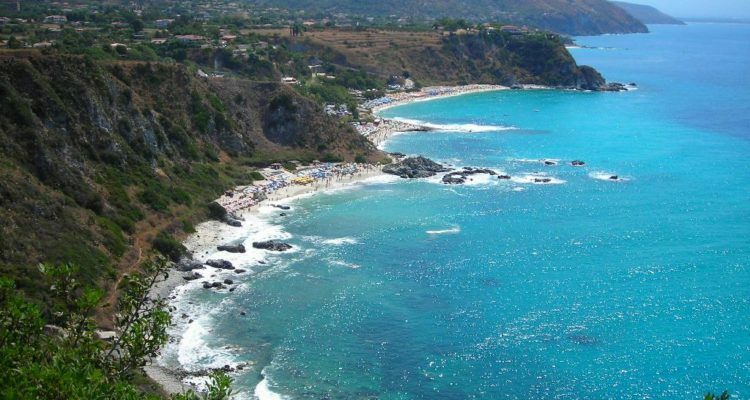 The Capo is so named for its imposing 124 meters granite promontory towering up from the beach of “Groticelle”, which has long been considered one of the most beautiful beaches in the world. Among the beaches of the shore of Capo Vaticano, apart from those of Riaci, Formicoli, Torre Marino, Tono e S. Maria, “Praia ‘i Focu” is definitely worth a visit. It is slotted in between the sheer cliffs of the Capo and can only be reached either by a little path from the lookout terrace of Capo Vaticano or, more easily, by sea from the beach of “Grotticelle”.